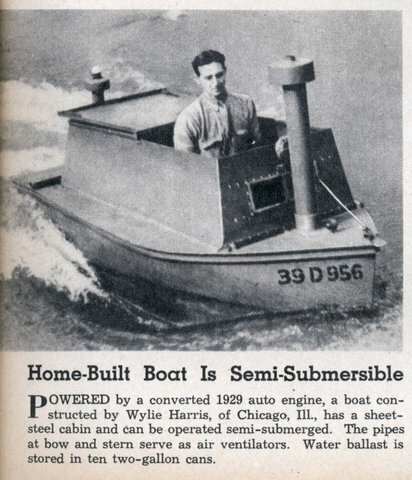 POWERED by a converted 1929 auto engine, a boat constructed by Wylie Harris, of Chicago, Ill., has a sheet-steel cabin and can be operated semi-submerged. The pipes at bow and stern serve as air ventilators. Water ballast is stored in ten two-gallon cans.